Colfax Avenue: The Congress is in session! 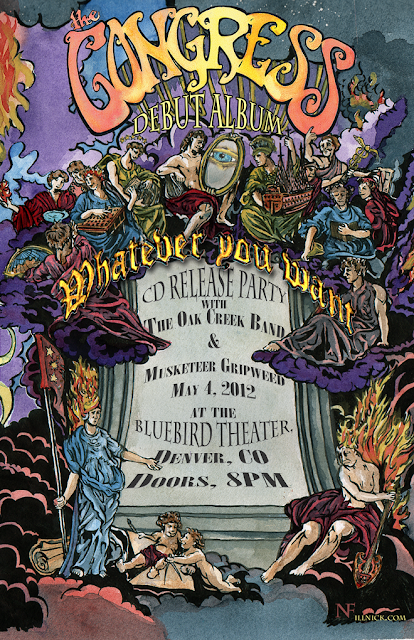 Denver based band The Congress is releasing their debut full length album “Whatever You Want,” kicking it off with a release party at the Bluebird Theater on May 4, 2012 (with special guests The Oak Creek Band and Musketeer Gripweed). Click here to buy will-call tickets to the Bluebird that come with 3 tracks off the album, as well as 1 track from Oak Creek’s upcoming album “Footprints."